Clay has been used worldwide for thousands of years to enhance beauty, promote healing, to draw toxins out of our bodies, and to add mineral & nutrients to the body. Sources for the Cleansing Clay was discovered near Crater Lake, Oregon. 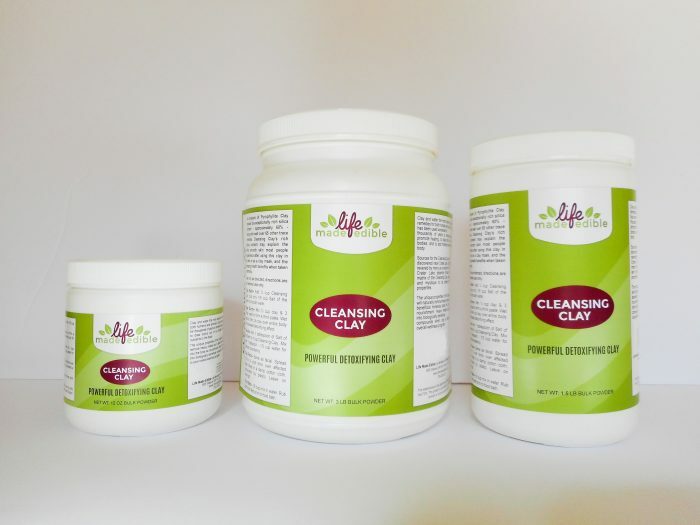 The unique and remarkable properties of the Cleansing clay will naturally remove heavy metals as it adds beneficial minerals back into the body as nourishment. Heavy metals are converted into biologically beneficial compounds when clay is added to your overall wellness program. An analysis of Cleansing Clay reveals its exceptionally rich silica content – approximately 60% – along with well over 65 other trace minerals. Cleansing Clay’s rich silica content may explain the silky smooth skin most people experience after using this clay in a bath or as a clay mask, and the amazing health benefits when taken internally. Cleansing Clay Ingredients: Contains 100% naturally occurring clay from a single deposit near the region of Crater Lake Oregon. 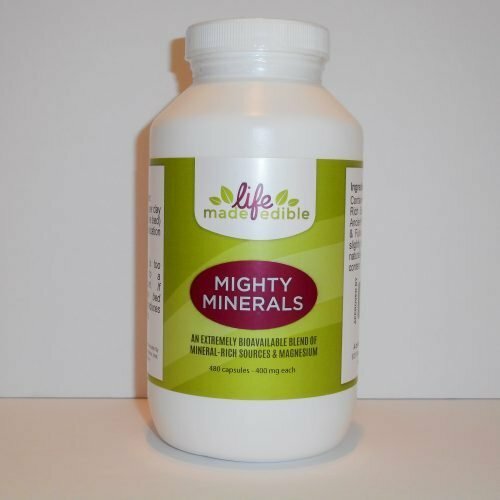 Contains a full gamut of vital trace minerals and rare earths. One tablespoon consumed at once or over the course of a day. Add to water, vegetable juices, smoothies, salad dressings, or use as a seasoning for your meals. Caution: Cleansing Clay has the potential of drawing out pharmaceutical medications if taken within 1-2 hours before or after. Consult with your Health Care Provider regarding the use of clay as it pertains to your individualized health situation. If withdrawal side effects are noticed, extend the time between taking the two or discontinue taking the clay internally. In most cases, external use is less likely to present this challenge if used 1-2 hours apart. Again, consult with your Health Care Provider to be sure the use of clay is appropriate for you. Cleansing Clay is a wonderful addition to bath water of any temperature. It will draw the chemicals out of city water and adds both minerals and electrolytes to nourish your body. 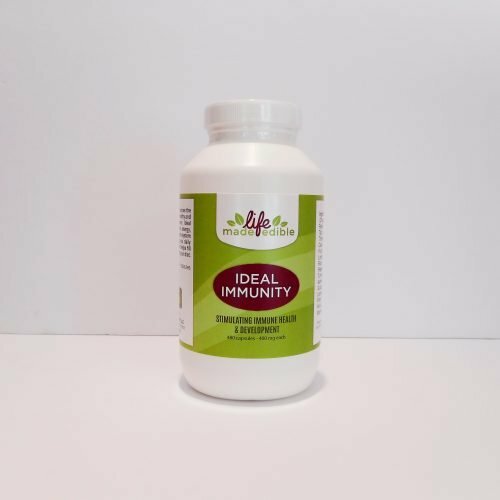 It also aids in opening your detox pathways assisting in the reduction of heavy metals, chemicals, and other toxins from the skin and deeper tissues. 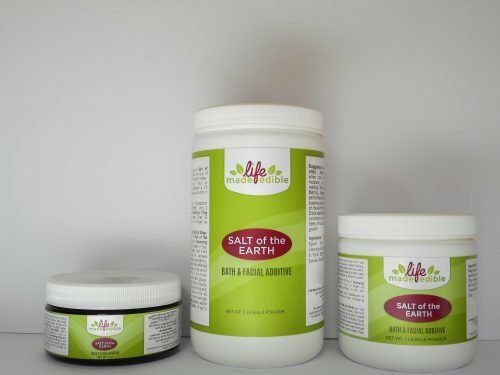 Clay Baths – add 1/4 cup along with 1/8 cup of Salt of the Earth (optional) to your normal bath. Larger amounts may be added to the bath water for a more robust detoxifying experience. Soak for 30-34 minutes or more for best results. You may take baths daily or as often as desired to make gradual progress toward whole body detoxification. Clay Body Masque – Mix 1/2 cup Cleansing Clay and 3 Tablespoons of water into a thick paste. Wet your hands and rub the masque over the entire body. Allow the clay to dry on your skin and then rinse off with water. Cleansing Clay Facials – 1-4 Tbsp. clay mixed with 1/3 the amount of water. Place the mixture on your face and let dry. Rinse with fresh water. Clay Poultice – 1-4 Tbsp. clay mixed with 1/3 the amount of water. Spread 1/8 to 3/4 inch thick over affected area. Wrap in a damp cotton cloth surrounded by plastic and leave on overnight. Foot Soak – Place 1/8 cup of clay into a bucket of water and mix. Place foot in the water and soak for 20-30 minutes. Repeat as often as desired. Septic & Sewage Systems: Cleansing Clay is safe for both septic tanks and city drains as it will improve the biological activity in septic systems and assist in reducing environmental toxins in city sewage, creating a cleaner, safer environment overall. As Cleansing Clay is not a clay that swells or clumps, it easily falls apart in water, so it will NOT clog your drains. It is known to clear out calcium buildup in galvanized pipes over time, and helps to keep drain pipes clear by reducing chemical pollutants and enhancing microbial activity. Uses for Spent Bath Water – You may use your spent bath water to water your plants and gardens, which will improve plant growth and aid in microbial activity in the soil.